Hi everyone! 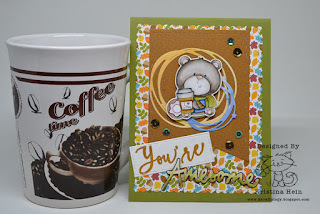 I'm back with another card using the adorable Donut & Coffee bear from Craftin Desert Divas. He is just so cute I *had* to make another card. 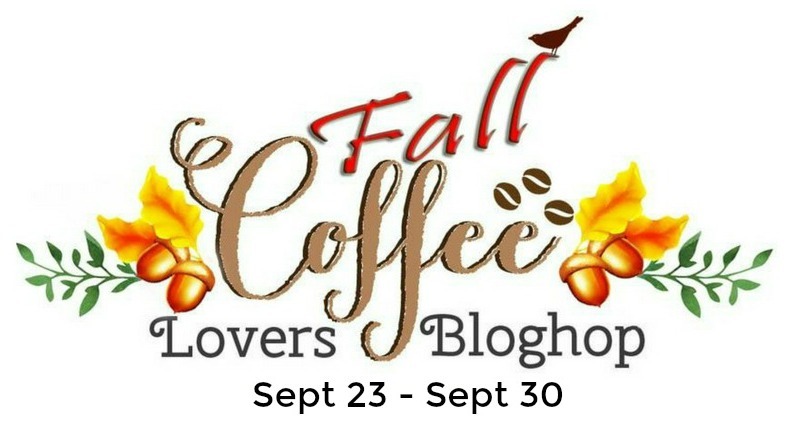 Not to mention I wanted to get another entry into the Fall 2016 Coffee Lovers Bloghop! This guy was also colored with my Zig Clean Color Real Brush markers on bristol paper. Before I cut out the scribbled circles, I colored my watercolor paper using some of the same Zig colors so they would match my bear perfectly. I also incorporated a LOT of different dies. 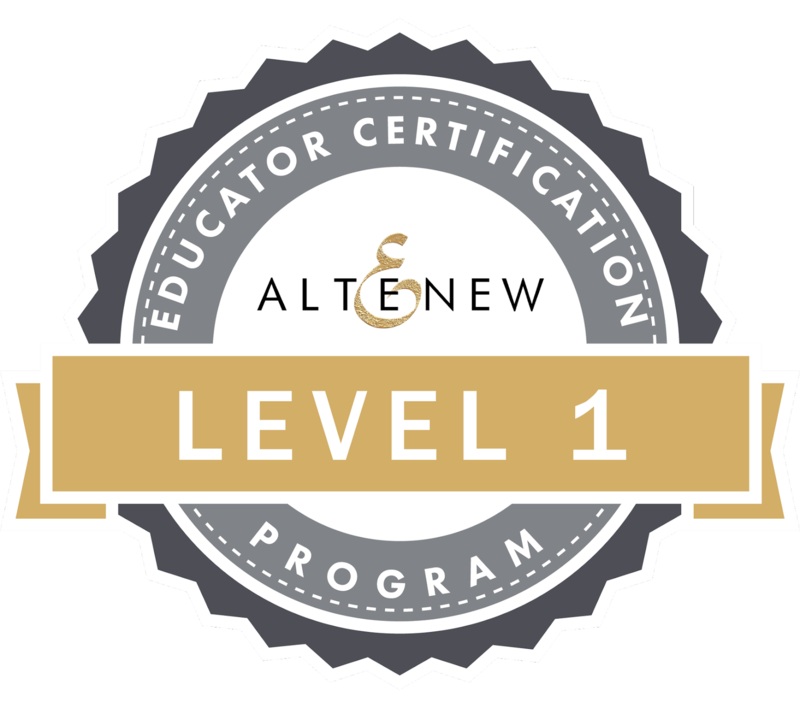 And did you know you could get your hands on this fantastic digital stamp from Craftin Desert Divas for free??? Yes, for free!! 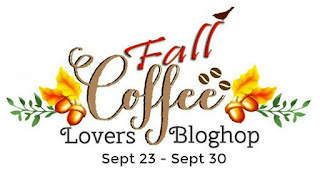 All you have to do is head to Craftin Desert Divas and use the code: coffeehop. Thank you to Craftin Desert Divas for the awesome freebie and for being a super sponsor of the hop! 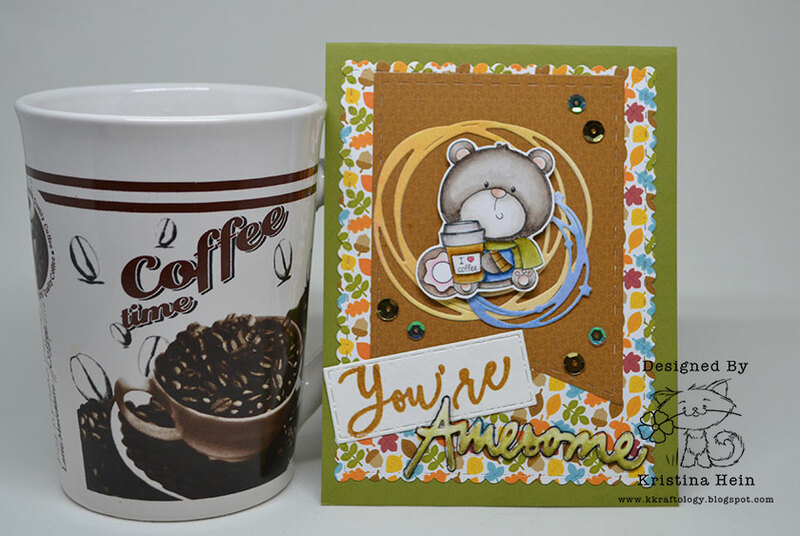 Here is a list of the supplies I used: Coffee & donut bear, Simply Said, Flag banner dies, Greeting word dies, Scribbled Circle dies, Banner Dies, Fancy Frames dies, Couture sequins, Moonlit Kisses sequins. Whew! Super cute card Kristina - love your coloring! So adorable and great coloring! Adorable card! Love the sweet image. How cute is that card!! Love it. Such a cute card and image. Kristina! So adorable! Love those scribbly circles in the background and love the sentiment! Your card is awesome! FAB coloring! So cute and love the layers!